We’ll start simply, by adding an accent image to a page’s content. Let’s say you’re kicking off a capital campaign and want to add your logo to the right of the first paragraph. Put your cursor at the very beginning of the first paragraph. Alignment: choose Right since we want it to float to the right of the text. Then click Insert into Page. Please don’t take a photo and just upload it to your site at full size and quality. If a page includes a few of these you’ll annoy visitors who wait for them to load, especially people on slower connections. Too many of these large images can annoy your web host—even if they offer “unlimited storage”—leading to costs or service problems. Too many of these can prevent your site from being backed up. Reduce the image to a size at or near the size it will appear on the site. For photos, people generally can’t tell if you reduce the detail/quality from 100% down to 80%. If an image is over 1000 pixels wide, it’s probably too wide. If an image is over 500 kilobytes, the size and/or quality are probably too high. A News Post might have a single, identifying image associated with it, which might show in news listings next to the title. A Supporter record might have an image of the person who supports your organization. 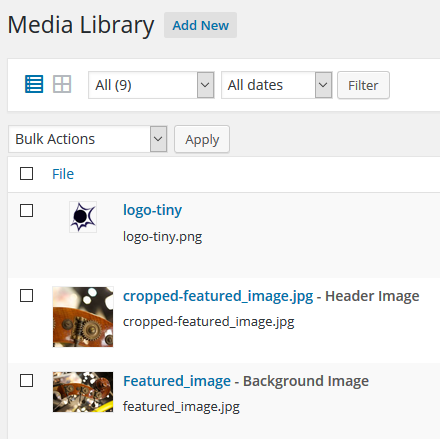 Adding a featured image is just like adding an ordinary image, except that you’re not inserting the image into a specific place within the content. Instead, you’re associating the image with your post/page as a whole. From that point, how and whether it appears will depend on the design of your WordPress theme. 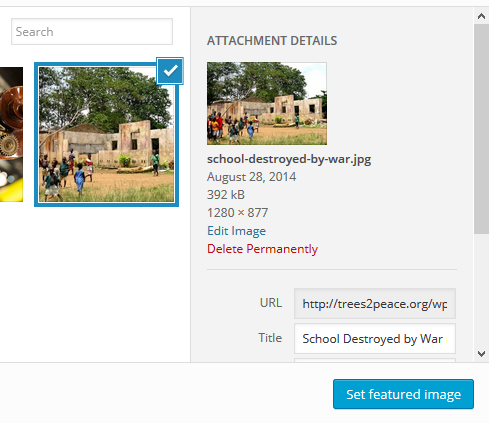 Then once your image is set, click Update or Publish to save your changes. Not every way of adding an image will ask for all of these pieces of information. Following are some of the fields and their use. 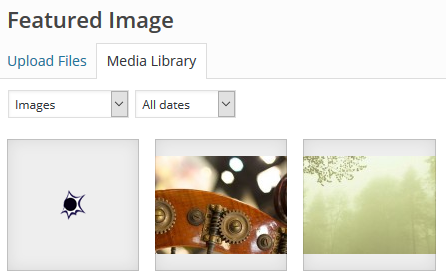 At a bare minimum you should give every image a Title and Alt Text. URL. You can’t edit this field, but it’s a good place to get a direct link to the image. Title. This is just for your reference. Caption. Text to show below the image. 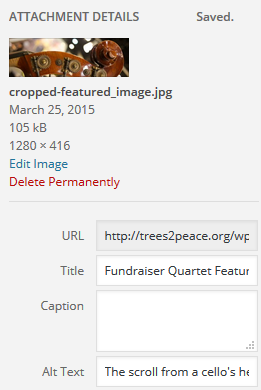 WordPress and your theme won’t show this caption in every context. Alt Text. Very important! This text tells the visually impaired what is in the image, and also tells search engines what the image is about. Alignment. Depending on the theme, Left and Right will usually try to “float” the image to the left or right of the text, where Center and None will make the image take its own line. Link To. You can say here whether the image should be a clickable link and, if so, where the link should take visitors. Size. How large you’d like the image to display. As with captions, WordPress and your theme won’t respect this sizing request in every context. 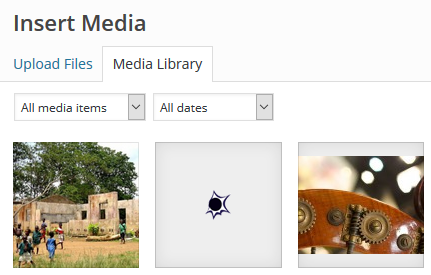 It’s possible to upload your images and documents to the media library first, and then later attach them to posts and pages. 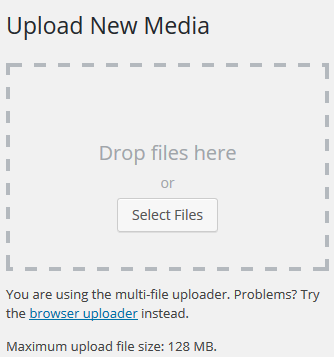 But since you can also upload media while editing a page, that’s usually easiest. 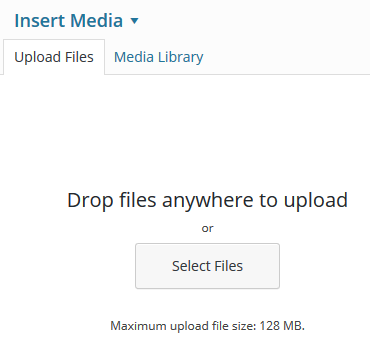 Either way, the Media Library is a good place to view, search, edit, and delete all of the media items you’ve uploaded to the site.